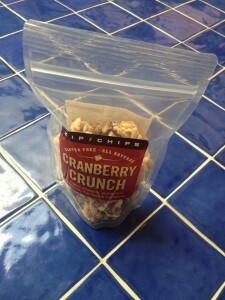 ZIP Chips – delightful healthy snack made in CAMAS, WA! I’m always on the look out for healthy living snacks that are all natural, free of dairy, soy, gluten and peanuts and here’s the kicker – THEY MUST TASTE GREAT! I’m not looking to settle for that cardboard, sticks and twigs taste healthy alternative – I’m looking for the real deal amazing delicious snack with good nutrition. Well – I’m happy to report I found a G-R-E-A-T tasty snack called ZIP CHIPS from a local purveyor Bekaa Farms of Camas, WA! That’s right – Zip Chips are made right here in Clark County, WA! 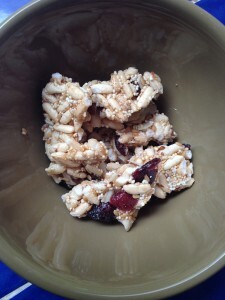 My fav is the Cranberry Crunch flavor made with organic amaranth, puffed rice, almonds, flax seed and cranberries. This mix is SO good – I have to portion out each serving and put the bag away (or else the bag becomes one delightfully delicious single serving – yup throwing myself under the bus). Trust me! Zip Chips are that good and they’re good for you! These healthy snacks are all natural, high in fiber, gluten free and are made with no saturated fat, chemicals or hydrogenated oils. Bekaa Farm’s mission is to provide “healthy low cost snacks to folks who want the impossible: satisfying their “munchies” (i.e. 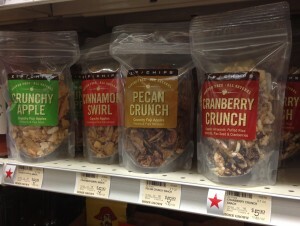 cravings for sweet or savory junk food) with something positively 100% healthy”. Bekaa Farms is truly a local Pacific Northwest company – they source their main ingredient (apples) from Washington and Oregon growers and then add their magic and love into their ingredients at their Camas, WA production facility. Blueberry Crunch (puffed brown rice, puffed amaranth, sliced almonds and blueberries) – the newest product in their line up! Go get a bag today and let me know what you think?! 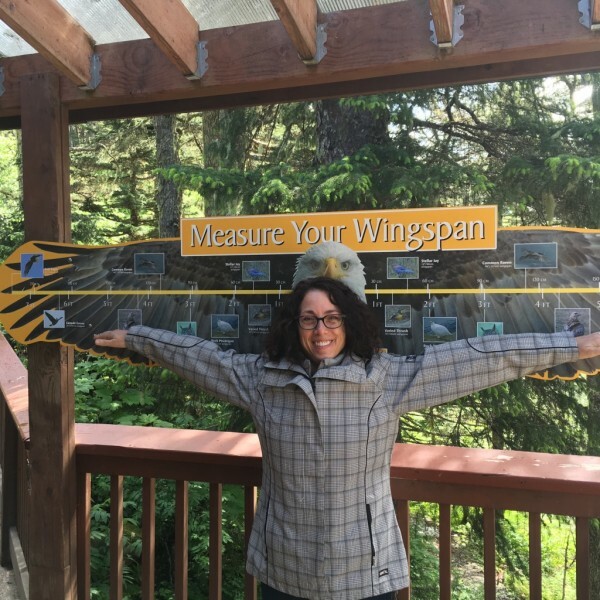 Keep eating and living a life that’s just right for you – delighting your sated sensitive palate!